Anonymous promised gift in memory of Jerry Earles. From the Vault is a series of exhibitions drawn from the Museum’s permanent collection of nearly 6,000 works of modern and contemporary art, architecture, craft, and design. For this installment of the series, we have chosen to focus on a small but significant sampling of recent and promised gifts to the Museum that help highlight key aspects of our unique and diverse collection. On display are key works from distinguished graduates of Cranbrook Academy of Art, one of the nation’s leading graduate programs, which constitutes a major focus of our collection. You will also find other outstanding examples of modern and contemporary art by key figures of the twentieth century that enhance our ability to tell a more comprehensive story. Work by important twentieth-century masters such as Richard Serra, Louise Nevelson, Anni Albers, Josef Albers, and Robert Rauschenberg will be on display alongside work by acclaimed Cranbrook Academy of Art artists and alumna Eero Saarinen (Instructor, 1939-1941), Charles Eames (Student, Architecture, 1938–1939, CAA Instructor of Design, 1939–1941), Harry Bertoia (Student, Silver and Metalsmithing, 1937; CAA Manager and Instructor in the Metalcraft Shop, 1937–1943; CAA Instructor of Graphic Art, 1942–1943), Ebi Baralaye (Ceramics ’16), Donald Lipski (Ceramics ’73), Ed Fella (Design ’87), McArthur Binion (Painting ’73), José Joya (Painting ‘57), and Sonya Clark (Fiber ’95). Without the generosity of donors, whose names you will find on individual wall labels in this exhibition, we would not be able to share with you and future generations the art of our time. 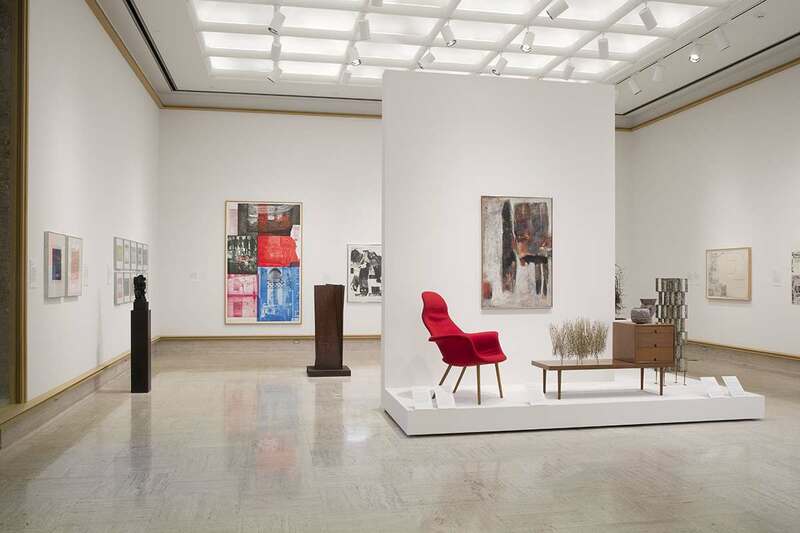 From The Vault: Recent Gifts to the Collection was organized by Cranbrook Art Museum and curated by Andrew Blauvelt, Director and Laura Mott, Curator of Contemporary Art and Design. Cranbrook Art Museum is supported, in part, by its membership organization, ArtMembers@Cranbrook; the Museum Committee of Cranbrook Art Museum; and the Michigan Council for Arts and Cultural Affairs and the National Endowment for the Arts.